5 January 2017 – Bahrain today restored law enforcement abilities to its National Security Agency (NSA), an institution which oversaw torture of protesters in 2011. The move reverses one of the few post-Arab Spring reforms outlined in the Bahrain Independent Commission of Inquiry (BICI). The reversal comes after an escalated human rights crisis in 2016, and should have strong implications for Bahrain’s key international partners like the United States and United Kingdom. We in the Bahrain human rights community strongly condemn the Government of Bahrain’s move to restore law enforcement powers to the NSA and further undermine the status of human rights in the kingdom. Bahrain’s Official Gazette, published today, listed the new Royal Decree 1/2017 amending decree 14/2002, which governs the National Security Agency, stating: “Officers and members of the NSA have the power to order detention in terrorism crimes.” Today’s decision reverses Royal Decree 115/2011, which rescinded the NSA’s law enforcement powers following a human rights investigation into abuses that year. The new decree technically only grants the NSA powers of law enforcement against terrorism crimes, but authorities have consistently used Bahrain’s highly expansive anti-terror legislation against human rights defenders, journalists, activists, and protesters. The reversal is of major consequence because it directly contradicts a BICI recommendation previously implemented by the Bahraini government. The BICI was established by the King of Bahrain to investigate human rights violations which occurred in February-June 2011. During that time, Bahrain was rocked by Arab Spring protests which saw tens of thousands of protesters demanding democratic, human rights and anti-corruption reforms from their government. Bahrain’s government met these demands with martial law and deadly force, employing torture, arbitrary arrests and police violence to quell the protests. The government’s suppression was supported by Saudi Arabia, the United Arab Emirates, and the rest of the Gulf Cooperation Council (GCC), which deployed a joint military force to the the country in March 2011. During the period of violence, Bahrain’s NSA – nominally an intelligence gathering agency – arrested protesters and subjected them to interrogations and torture, a fact recorded by the BICI. Torture under NSA resulted in the death of businessman Karim Al-Fakhrawi, who died in their custody in April 2011. This was also recorded in the BICI. The BICI’s findings, published in November 2011, were expected to be the basis of a reform process in Bahrain. The majority of the BICI’s 26 recommendations have been only partially implemented, and many key reforms – such as ensuring that detainees have access to legal counsel and decriminalising peaceful political expression – have gone wholly implemented. A November 2015 report by Americans for Democracy & Human Rights in Bahrain (ADHRB), the Bahrain Institute for Rights and Democracy (BIRD), and the Bahrain Center for Human Rights (BCHR) found that just two of the BICI recommendations had been fully implemented, four years on. One of them was recommendation 1718, to strip the NSA of law enforcement powers and leave it a strictly intelligence gathering body. 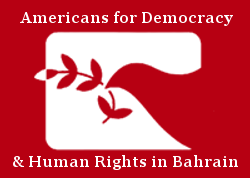 In June 2015, the US State Department lifted a four-year arms ban to Bahrain, citing the government’s “meaningful progress on human rights reforms and reconciliation.” This progress included, the State Department said, the “implementation of many key recommendations from the Bahrain Independent Commission of Inquiry, and the recent release of a number of prisoners charged with crimes related to their political association and expression” – a reference to Ebrahim Sharif, former Secretary-General of the Wa’ad political society. Sharif was promptly rearrested weeks later, but the US did not reinstate the arms ban. Instead, the State Department continued to point to Bahrain’s BICI implementation status as an indicator of gradual reform. In its 2016 congressionally-mandated assessment of the Bahraini government’s efforts, the State Department still found that it made “some progress” and had “implemented some important recommendations.” Though it did not explicitly assess each recommendation, the report clearly concluded that Recommendation 1718 concerning the NSA was among them. Now that the Bahraini government has blatantly backtracked on one the few key recommendations it had implemented, the US can no longer rely on nominal BICI progress as justification for continued arms sales. Following the lift of the arms ban in 2015, US Senators Ron Wyden (D-OR) and Marco Rubio (R-FL) introduced a bill would reinstate a hold on the sale of small weapons to the Government of Bahrain until it implements all 26 BICI recommendations. Congressmen Jim McGovern (D-MA-2), Hank Johnson (D-GA-4) and Joseph Pitts (R-PA-16) introduced a House companion bill soon after. It is now imperative that the new Congress resume these efforts not only to ensure that the newly empowered NSA does not use US weapons to violate the rights of Bahraini citizens, but also to demonstrate that the US will not blindly support the Bahraini government in the absence of reform. The UK has provided technical assistance to the Bahraini government since 2012. In June 2016, BIRD found this programme to be “counter-productive” and “unsustainable”. The UK has consistently praised reforms in Bahrain, both in their human rights reporting and elsewhere. In November 2016, the Prime Minister’s National Security Adviser told a parliamentary committee: “We believe that there is a political will to have a reform process. We think that we should help to support that.” The idea of a reform process in Bahrain has always been predicated on implementation of the BICI. Today’s legislation upturns the UK’s rhetoric. But the National Security Agency, headed by Talal bin Mohammad Al Khalifa, brother of Bahrain’s ambassador to London Fawaz, is separate from the Ministry of Interior, and there is no evidence that its own Ombudsman is effective. Many arrested under terrorism offences are already subject to mistreatment according to BIRD’s records. The Prime Minister visited Bahrain in December 2016, where she backed a policing of growing economic and security ties with the Gulf Cooperation Council monarchies. She did not mention human rights in her speech at the GCC Leaders Summit.